The Lok Sabha on Wednesday passed the Factories Amendment Bill, 2016, that aims to increase the working overtime hours up to 100 per quarter for factory workers. The Bill allows overtime of up to 125 hours per quarter in public interest and empowers Central and State Governments to exempt rules with regard to overtime working hours. At present, only State Governments are empowered to pass exempting orders related to the overtime hours. The Centre has also empowered itself to frame Rules under the Act on issues related to terms and conditions of the workers in a factory and make separate Rules related to fixed working hours, period of rest among others for persons engaged in urgent repair work. Speaking for the Bill, Labour Minister Bandaru Dattatreya said that the amendments would enable workers to “work more and earn more.” He assured that the Bill would safeguard workers’ interests, capping the total number of work hours in a day at 10 and the total hours of work in a week after including overtime at 60. Till now, the rules provided for an overtime of 50 hours in one quarter. “Overtime is only an opportunity. I have taken many safeguards. The proposed amendment is nowhere in conflict with the ILO norms and all provisions relating to daily or weekly hours. Total number of overtime shall not exceed 100 hours in a quarter,” Mr. Dattatreya was quoted as saying. Mr. Dattatreya further advocated for the Bill, claiming that it was the “need of the hour,” as large number of workforce is needed for the Make in India, Skill India and Digital India initiatives. He however made it clear that the Government would shortly come out with a comprehensive Bill to amend the Factories Act, 1948. The Standing Committee’s Report on the Factories (Amendment) Bill, 2014 is being considered by the Labour Ministry. 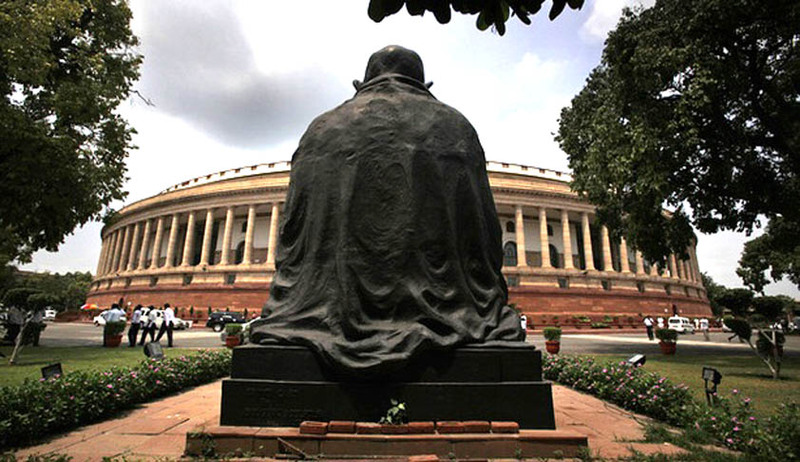 The Bill was opposed by several opposition parties, with the Congress and Left parties staging a walkout. The Bill was also opposed by TMC, JDU and IUML. Mr. N.K. Premachandran (RSP) rallied against the Bill, saying that the Bill was encroaching upon the rights of the States and was against the federal structure of the country. This was however countered by Mr. Dattatreya, who insisted that the Bill was not against the interests of laborers as the International Labour Organization (ILO) has prescribed the upper limit of 144 hours. “By increasing the overtime clause you are only burdening the existing employees,” Congress floor leader Mallikarjun Kharge said before leading his party colleagues out. Mr. P. Karunakaran (CPIM) alleged that the Government was playing in the hands of corporate sector, while Mr. Saugata Roy (TMC) said that all Trade Unions, including BMS, were against the Bill.